Author of the book series, Bukiwaza, Aiki-Ken and Aiki-Jo. I have been a chief instructor in the Copenhagen Aikido Club in Denmark for 27 years, before starting my own dojo in 2003. I began my Aikido training under Takeji Tomita Sensei in 1976. 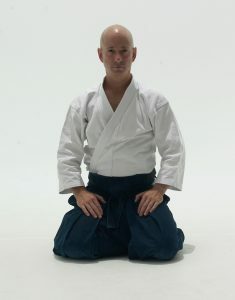 Tomita Sensei is based in Stockholm Sweden and was a close student of Morihiro Saito Sensei’s. Saito Sensei was a direct student of the Founder of Aikido, O-Sensei Morihei Ueshiba. 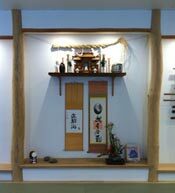 Saito Sensei studied directly at the Founder’s side in the Iwama Dojo for 24 years. of our international group of clubs, all training as students under his guidance. I was honored to be appointed direct representative of what was then called Iwama Ryu in Denmark by Saito Sensei. The term Iwama Ryu is now no longer used by our group, since it can be taken as a sign of separation from the lineage of aikido as represented by the Ueshiba family. This is by no means our intention. On the contrary, Saito Sensei`s last wish was for us to continue to be a part of the aikido community as represented by the Aikikai Hombu Dojo, and the Ueshiba family. I will honor his wish to my utmost. I went to Iwama as uchi-deshi (direct live-in student) for the first time in 1984, staying for two months. At that time there were very few uchi-deshi and I was privileged to receive much attention during my stay there from Saito Sensei. I have been back to study with Saito Sensei ten times since then, both as uchi-deshi as well as spending a year and three months as soto-deshi (direct student living close to the dojo) in 1990 – 91.